Articheck is a digital condition report tool specially designed for museums, galleries, shippers, collectors and conservators. Articheck can be used on mobile, tablet, and desktop devices, from anywhere. 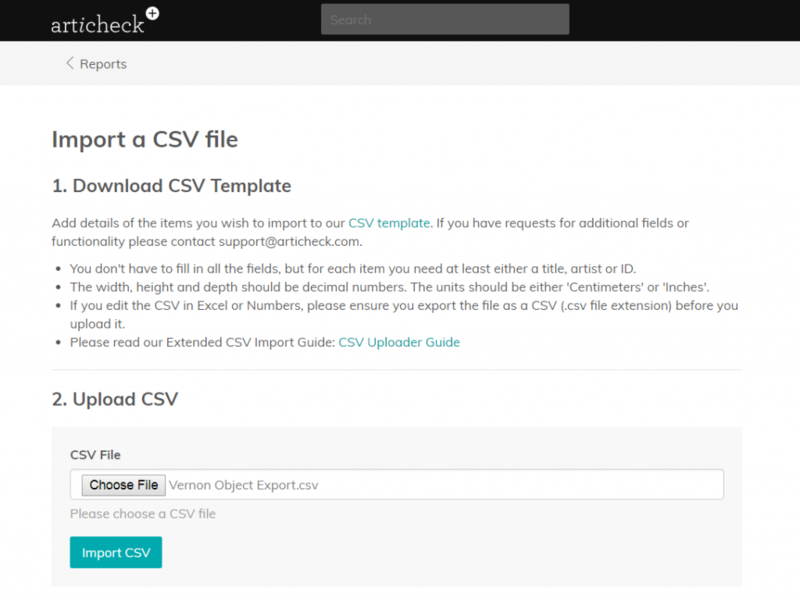 Vernon CMS can export object records in a format for import into Articheck, streamlining your condition reporting workflow. The system allows you to easily capture and add pictures, annotations and data in front of the object using standardised terminology to describe damage. This terminology has been compiled from industry experts around the world. Reports generated in Articheck are branded and beautifully formatted, ready to send to colleagues and associates immediately. 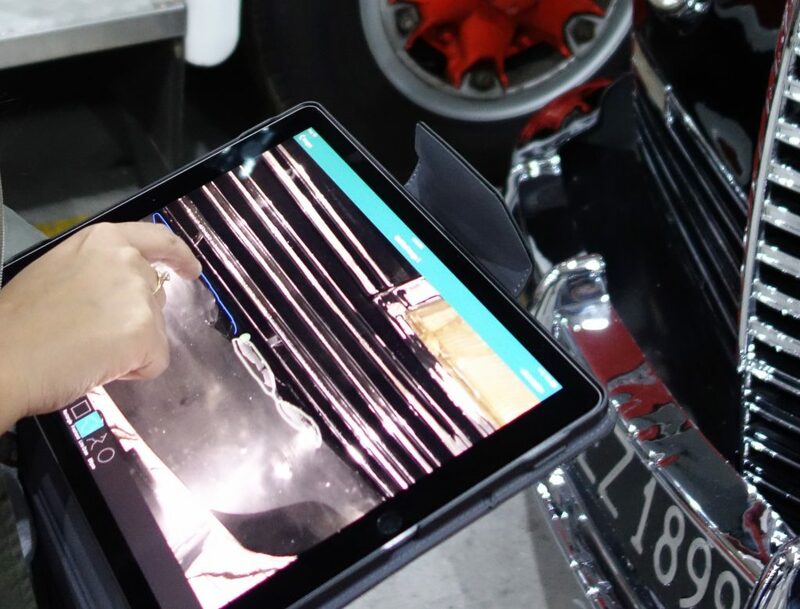 MOTAT was undertaking a collection review for museum vehicles and needed a consistent method of condition reporting. Historically, condition reporting across the museum was free form and in various formats making it very difficult and time-consuming to make comparisons between reports. They also had poor connectivity at some of their offsite storage locations which made uploading difficult. MOTAT started using Articheck in 2016 and it addresses all these concerns for them. Articheck does not require a constant Wi-Fi connection, so reports can be prepared on the device and uploaded into the Articheck account when the device is back online. 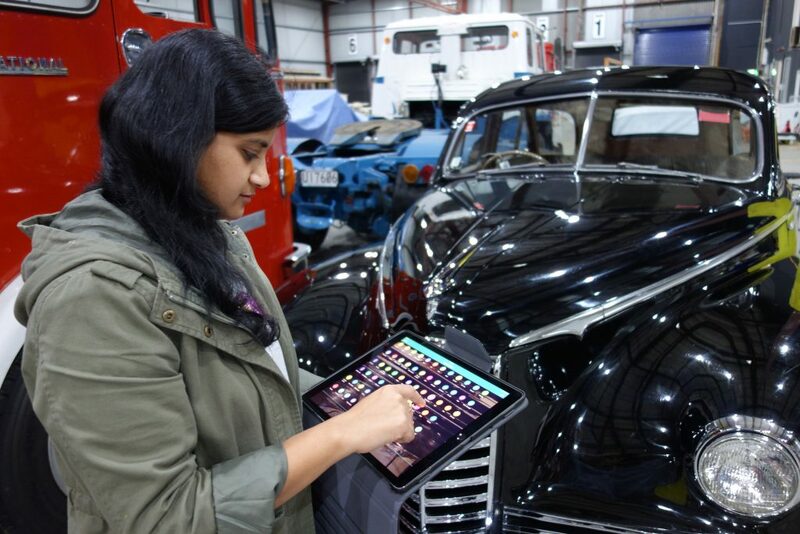 Deeksha Bhardwaj using Articheck to create a condition report for their 1946 Packard Clipper Hearse automobile. A conservation team was established in 2017. Early in 2018 they reviewed condition reporting and met with Articheck to investigate where they could increase and improve use for their collections. In the short term, this will mean using Vernon CMS’ export function to share the core cataloguing records with Articheck. In the longer term, this involves the creation of collection-specific condition report templates. “For us using Articheck with Vernon will mean that we can continue to use these two tools together to establish streamlined collection care processes and improved documentation procedures.” said Kristie Short-Traxler, MOTAT’s Conservation Manager. Using Articheck’s image annotation feature to highlight current damage. The Exhibitions Registration team at the Australian Centre for the Moving Image began using Articheck in mid-2017 to complete condition reports for incoming loans to onsite exhibitions. It was also used for ACMI-owned objects and loan objects travelling interstate and internationally in their touring exhibitions. They use Articheck in conjunction with Vernon CMS – object data is exported from Vernon CMS and imported into Articheck. This is often much faster than using paper reports, although there are occasionally more complex cases. After completion of the installation or deinstallation of the exhibition, ACMI generates PDF reports directly from the app to email to lenders or venues, making it easier to notify lenders of any change in condition. For new exhibitions, they no longer need to print dozens or hundreds of paper condition reports, and then scan all the completed reports after install/deinstall, which saves paper and staff time. Other welcome benefits of Articheck are improvements in accessibility. The ability to zoom in on an image is something that can’t be done with a paper condition report. This gives ACMI better confidence to know if a defect is new or existing, and it allows them to more thoroughly document the condition of objects. New reports can be produced and shared between travelling staff and staff in the office in a way that paper reports with acetate overlays can’t be (e.g. Someone in the office can upload a new report and it’s immediately available to the travelling staff member via the Articheck app or the web portal). With ACMI preparing for a new international touring exhibition and a large-scale onsite exhibition renewal in 2019, Vernon CMS and Articheck continue to be invaluable tools for ACMI staff managing information and monitoring the condition of objects. Vernon Systems are working with Articheck to streamline these processes further. Vernon CMS users can currently link to the PDF copy of the condition report, ideally through the permanent web address for the specific report within Articheck’s website. In this way, the Vernon CMS users always have access to the latest version of the condition report even if it is still in progress. Articheck are refining their data export so that the PDF links can be easily imported in bulk into Vernon CMS in the future.